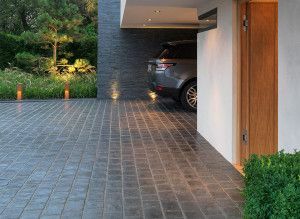 With their cool lines and sophisticated feel, Templeton driveway setts deliver the characteristics of a premium stone with the durability of a modern driveway system. Each sett features the patented contoured base which has been specially designed for quick and straightforward installation. Available in two colours, each pack comes with the right amount of Stonemarket jointing compound.